Have you customized your store's presence lately? 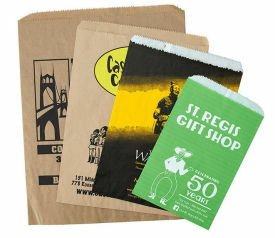 Personalized Shopping Bags are a great way to get your brand and store recognized. Customers advertise your brand just by walking out of the store with their merchandise in your Personalized Shopping Bag. Browse all of the options below for some of our popular picks. But we can do a lot more...don't hesitate to give us a call at 800-426-5708 and let us know what you are looking for!